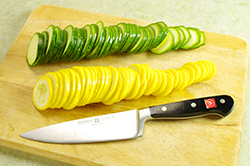 It’s amazing what you can do with just one squash and less than five minutes. Choose the best, creamiest ricotta for these bites. Marjoram, dill, and basil are other good herb choices. Heat the oil in a nonstick skillet over medium-high heat. 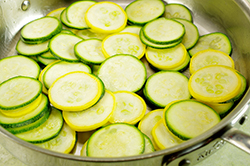 Add the squash, sauté for 1 minute or so to warm, then add a splash of water and cover. Cook over medium-high heat until the squash is soft, about 3 minutes. 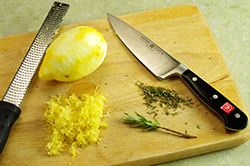 Remove the lid, add the rosemary and lemon zest, toss it with the squash, and then season with salt and pepper. 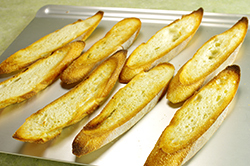 Lightly brush the cut surface of the baguette pieces with olive oil, then toast until golden and crisp. 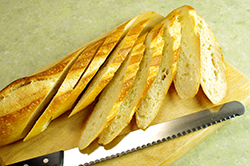 While the bread is hot, rub the cut surfaces with the garlic. 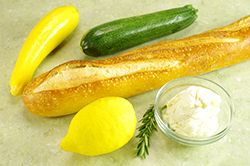 Spread the baguette pieces with the ricotta, then overlap the squash on top. 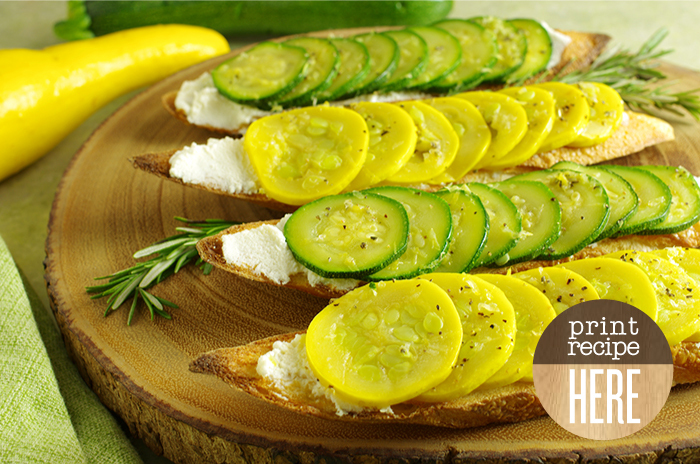 Season with a bit more pepper and serve. Reprinted with permission from Vegetable Literacy by Deborah Madison; Photography: Christopher Hirsheimer and Melissa Hamilton. Copyright © 2013. Published by Ten Speed Press, a division of Random House, Inc.